Lisa Lee Rust '87 and husband Kenneth Rust admire the nine-foot Steinway and Sons concert grand now located in Daniel Recital Hall. When Juilliard-trained Ruby Morgan retires from Furman this summer, she’ll leave more than the gift of music and mentorship she has imparted to students over her decades-long career. 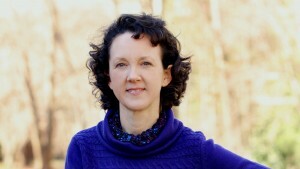 Adding to her already generous contribution to the lives of undergraduate music majors, Morgan has spearheaded an effort to make Furman an All-Steinway School—an initiative that aims to replace aging pianos on campus with artisanal-quality pianos from legendary Steinway and Sons of Astoria, New York. 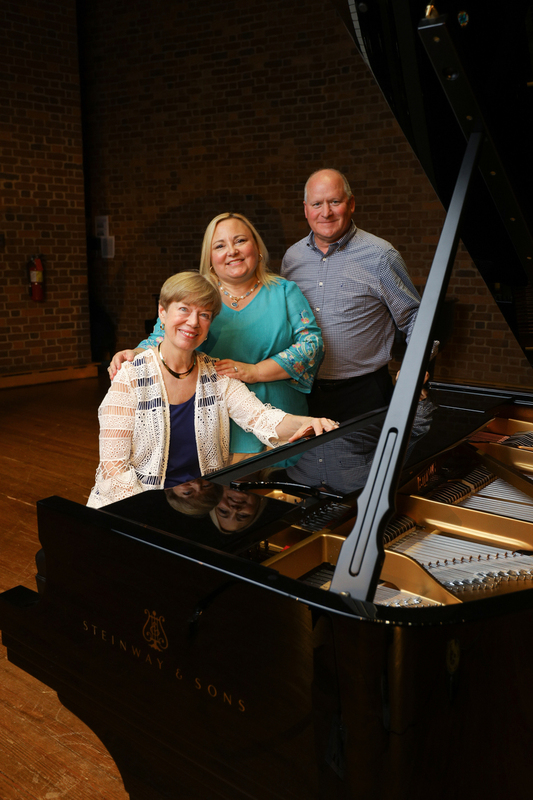 From left: Ruby Morgan, Lisa Lee Rust and Kenneth Rust with Model D Steinway concert grand. 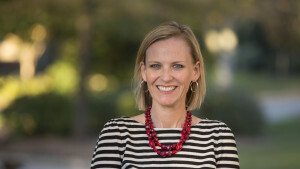 Making the inaugural gift to the campaign is Morgan and her husband, retired Furman Professor of Philosophy Doug MacDonald, who hope to inspire the generosity of others. As part of the $2.5 million fundraising effort, up to 50 new pianos will populate Daniel Recital Hall, faculty studios and practice rooms. Ahead of the official launch of the campaign, Spartanburg-based Case Brothers delivered the first three pianos to campus on July 17. Taking up residence on the Daniel Recital Hall stage is the 990-pound, crème de la crème of concert instruments—a nine-foot Steinway Model D grand. 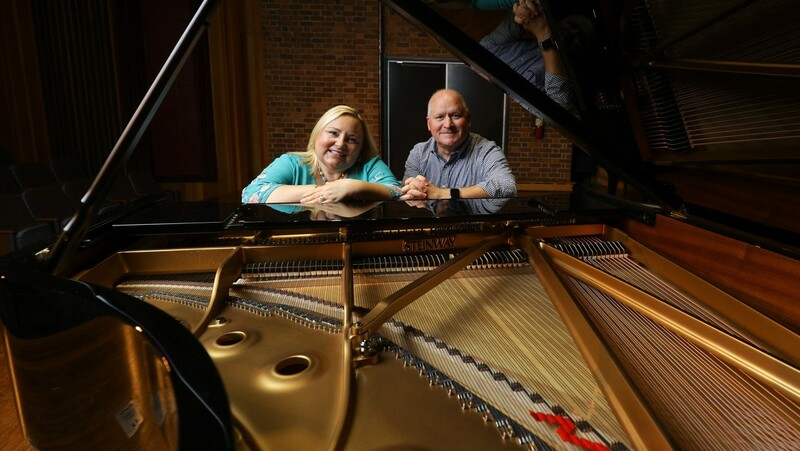 The piano purchase was made possible by Morgan protégé, Lisa Lee Rust ’87, and her husband Kenneth Rust of Lumberton, North Carolina, both devotees of the arts. In addition to the concert instrument, two 7-foot grand pianos were installed in studios of faculty members Derek Parsons and David Gross. Becoming an All-Steinway School places Furman among an elite group of learning institutions including conservatories like Oberlin, Yale School of Music, Cleveland Institute of Music and the Curtis Institute of Music. With the All-Steinway seal, Furman’s ability to attract talented students and faculty is enhanced. 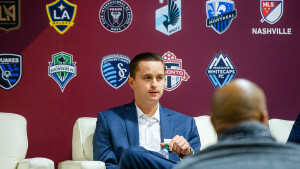 Morgan believes the move is about aligning Furman’s reputation for excellence in music with the instrument internationally accepted as the world’s best. “As Furman continues its rise in prominence, it is important our pianos, which are used by every music student, be of a quality that reflects that reputation,” she said. Faculty member Derek Parsons gives the seven-foot Steinway a whirl in his studio. 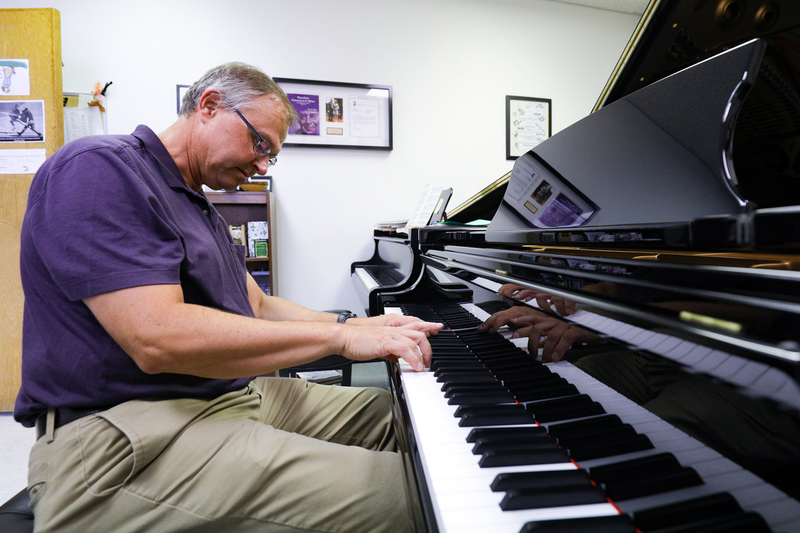 Dubbed “Pianos for Paladins,” the campaign kicks off during fall semester, so others will also have an opportunity to leave a musical legacy. For more information, contact Director of Donor Relations Allison Foy at 864-294-3704 and allison.foy@furman.edu. Last updated August 2, 2018 .